Anybody who knows me knows that I am a fitness addict. I run on my Kangoo rebound shoes, I work out at the gym, and in some circles, my love for Pilates is as common knowledge as the sky is blue. However, that doesn’t mean I can’t appreciate a good doughnut, cookie, cake or pastry. In fact, I probably can appreciate them too much, which is why I am such a fitness addict! Living where I do can make that difficult, as beyond being home to some of the world’s finest beaches, the NWFL Gulf Coast region is blessed to have some of the most talented bakers and pastry chefs on the globe. These culinary artists, with as good of taste in areas to live as their taste in food, will push the very boundaries of “portion control” without a steady hand and committed outlook, as the delights they prepare for the masses are as heavenly as the emerald coast in the summer. If you’ve got a sweet tooth, this blog post is for you: Four Bakeries and a Chocolate Shop in NWFL! Sherry’s Cake Shop: Simply put, the cakes that come from Sherry’s are so delicious, I could see them being outlawed. The difference between a cake from Sherry’s and a cake from most places is civility goes out the window when there is only one slice of a Sherry’s cake left. From classics like vanilla and chocolate to Florida favorites such as key lime, the variety of cake at Sherry’s is fantastic. 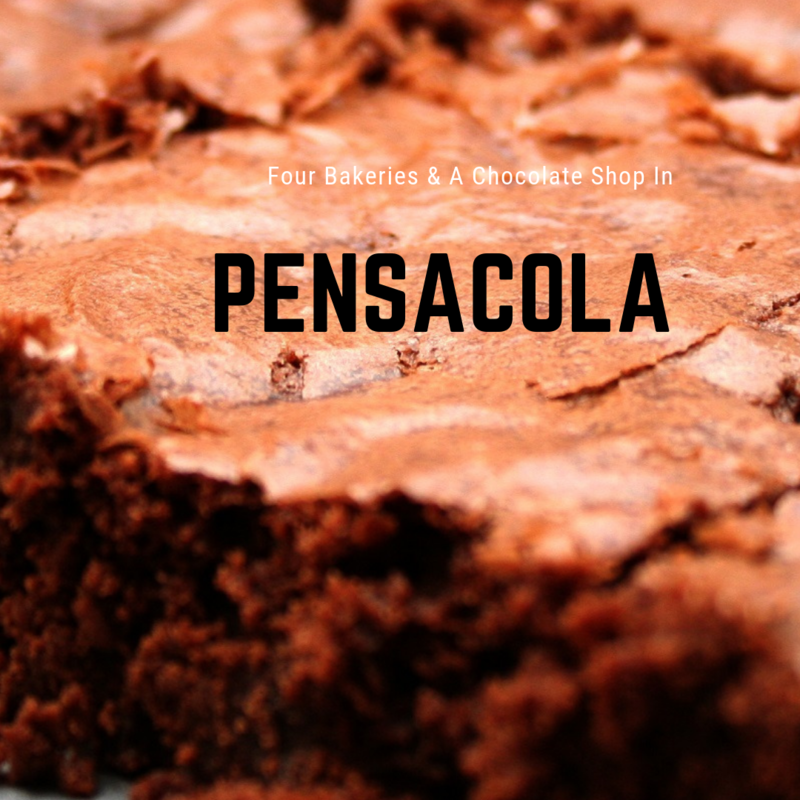 They do everything to perfection, and there is a reason that they are a go to bakery for Pensacola and its neighboring cities. As they say on television, but wait, there’s more! Sherry’s doesn’t just have cakes to die for, but a variety of baked goods. Cookies, brownies, and of course devil dogs line up their display counter, and each and every creation they put up for sale is as delicious as delicious can be. 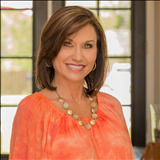 For those with a passion for baking themselves, Sherry’s not only offers baking supplies, but lessons and classes. The dedication they have to not just spreading tastiness through their own treats but by spreading their knowledge as well is just one of the many things that makes Sherry’s the best. Milton Quality Bakery: If you take a quick drive from the tranquil beach out to the beautiful outlying countryside, you’ll find more than fantastic trails to hike, although you may need the exercise they provide after visiting Milton Quality Bakery. Do you like cookies? How about doughnuts? Cupcakes and cake? How about pies? Brownies? Devil dogs? Even the pickiest of eaters will enjoy one of those, and Milton Quality Bakery has you covered. They have a surprisingly large variety of baked goods they offer, but what’s borderline shocking is how each and every one of these is absolute perfection. There isn’t a single item they offer which isn’t top of the line, A+, award worthy baked good or pastry. I’m excited I’m getting to say it twice this blog post; but wait, there’s more! Grocery store bread is alright, but really nothing to write home about. Milton Quality Bakery doesn’t just have you covered in the sweets department, but they bake traditional and specialty breads which completely blow even the best of supermarket bread out of the water. Sandwiches will never be the same, and breakfast is a treat to prepare with their raisin bread on hand. The best thing about this magical shop of goodness? How inexpensive their products are! Milton Quality Bakery could get away with selling their goods at thrice the price, but they supply affordable baked goods and pastries, as these are good hearted people who just want to spread the love that only scrumptious food can provide. Joe Patti’s: The fact that a seafood market can make the a list on dessert foods and baked goods is impressive, but you know what else is impressive? That’s right, the bakery at Joe Patti’s. I’m going to get giving them kudos for their gelato out of the way now, as this isn’t a frozen dessert list, but seriously though, try their gelato sometime. Joe Patti’s has a wide selection of cakes, eclairs and other bakery treats. Their orange dreamsicle cake will change the way you look at oranges, trust me. Right near the entrance of Joe Patti’s is the Handmade Beignets trailer, which is the other half of why Joe Patti’s is included on this list. Stuffed beignets are their specialty, something Cafe Du Monde or Cafe Beignet in New Orleans don’t actually do themselves. This isn’t considered a bastardization of the French doughnut however, as Emeril himself is a big fan of the treats they produce. Whether it is the cakes staring or you in the face or the lure of the beignet on your way in and out, when going to buy fish, it can be difficult to not leave without a lot more. Blue Jays: I’m not including Blue Jays Bakery to include a (partly) vegan bakery; Blue Jay’s is on this list because they are headed by one of the most talented bakers in the gulf coast region. While veganism is on the rise in the United States, I feel far too often chefs sacrifice flavor and quality with their health and moral limitations. This is not the case at Blue Jay’s Bakery, not in the slightest. While their whole menu isn’t vegan, in terms of taste, you wouldn’t be able to tell the difference between their vegan and non-vegan products. Or, at least I can’t. Wedding bells in your future? Blue Jay’s may be the place you want to get your wedding cake from. Not only do you get to sample sixteen flavors of cake when shopping for your ceremony, but if anyone at your wedding has dietary restrictions, they can indulge and enjoy without having to punish everyone else with an inferior cake. At Blue Jay’s, taste is king, health is queen, and their court is nothing but delicious. Kayden’s Chocolate Factory: Whenever we’re in or near the Cordova Park area, my friend likes to joke “Want to get some KFC & KCF?” to which I always reply “No and yes.” No offense to the Colonel, but the Kentucky Fried Chicken on the corner of 9th and Bayou isn’t really a place I visit all too often. Right up the street, over at Kayden’s Chocolate Factory, now that is a place I wish I could visit everyday. They make their own chocolate at Kayden’s, and then use that chocolate to mold into bars, make truffles and dip cookies/pretzels/bacon into. That’s right, homemade chocolate, homemade truffles, homemade chocolate covered Oreos and bacon. Right in Pensacola. Yes, this town makes you work hard to earn a beach body. Again, this isn’t a frozen dessert food list, but I thought I should mention that they have homemade ice cream at Kayden’s, in addition to their chocolates. A huge variety of flavors, from classic favorites to unique creations. They make milkshakes, banana splits and sundaes with this homemade ice cream as well. This fact isn’t getting Kayden’s Candy Factory on this list, it is their quality homemade chocolate which inspired me to put them on this blog, but I thought you might find these tidbits of ice cream information interesting nonetheless. I hope you enjoyed this list of must try bakeries (and a chocolatier), and I want you to truly understand that this is just scratching the surface of what northwest Florida’s gulf coast has to offer in terms of deliciousness. Living here truly is paradise, from the beaches to the cities to the bakeries and chocolate shops. Contact me today if you’re interested in moving to this paradise, and definitely shout to to me on Twitter and Instagram to share your favorite dessert spots here in NWFL.